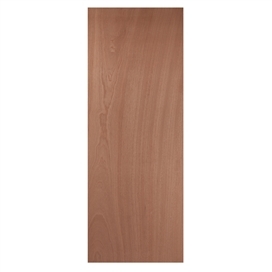 Paint Grade veneer doors offer economical solutions for home, offices and light commercial use. 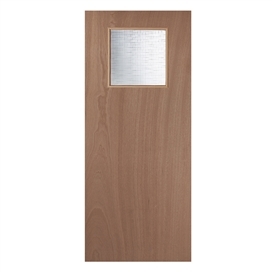 We offer a range of 44mm thick exterior plywood FD30 fire doors. They are suitable for a Hi-Build paint finish for exterior use. They are fully certified under the BWF-CERTIFIRE scheme when hung in an appropriate frame with intumescent strips fitted to the frame or door. We supplu these fire doors factory glazed with 6mm Georgian wired glass. 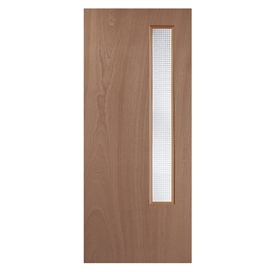 A 54mm thick 60 minute fire door is also available. 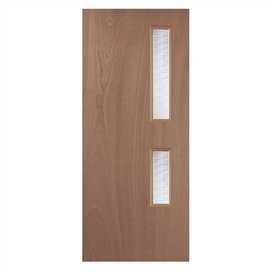 It is FD60 fire-rated when hung in an appropriate frame with intumescent strips fitted to the frame or door. These doors would require a Hi-Build paint finish for external situations. They provide basic security only and are suitable for sheltered weather conditions.Learn more about JELD-WEN Europe in their concept folder.